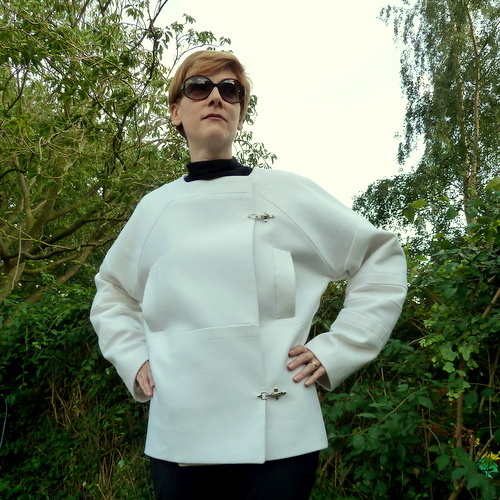 Posted on July 26, 2014 August 5, 2014 by catherinedaze	This entry was posted in dressmaking, Finished, Guy Laroche jacket, sewing, Style, vogue and tagged coat, dressmaking, guy laroche, jacket, sewing, Style, vogue, white, wool. Bookmark the permalink. You totally rock this jacket. It looks absolutely fabulous. Wow! This look is so amazing on you. What a great set of magazine-worthy photos. So amazing! I’ve been dying to see the end product on you…even better than I’d anticipated! It’s a spectacular jacket. 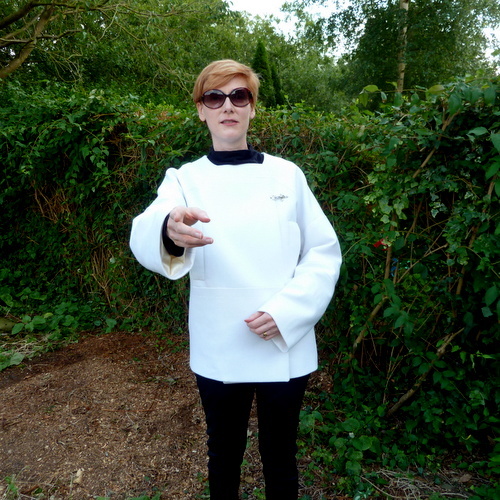 Halfway between space suit and lab coat, which I guess ticks all the sci-fi boxes? So chic! And beautifully finished. I think your closures add a bit of an industrial touch, which is quite nice with the sci-fi vibe. It suits you so well! Fab. U. Lous. 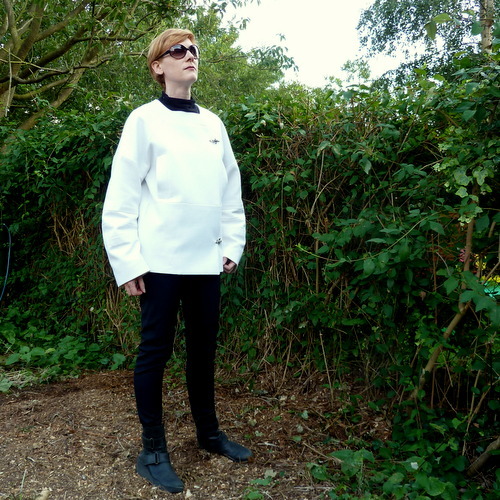 Perfect for wearing whilst ordering about Space Commander Travis! Fantastic. Love the Doctor Who pose. And thank you for melting so that we could see the jacket! So awesome. What a great jacket! Catherine, Iove this. It looks as though you made it so beautifully. All the time and effort spent was so worth it. And it’s always so great to see a person who is unafraid of wearing such a defined sort of style. You are uncompromising. Love it! 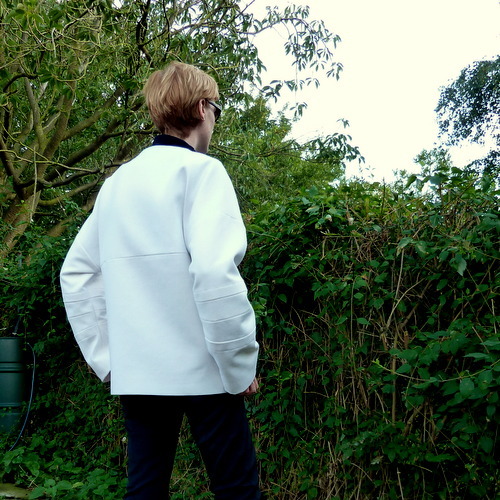 Speechless – you have done an outstanding job with this coat. Im sure you cant wait to wear it in more suitable weather tho 🙂 I kinda like your snaps more than the suggested. Great job. It’s Sci-Fabulous! 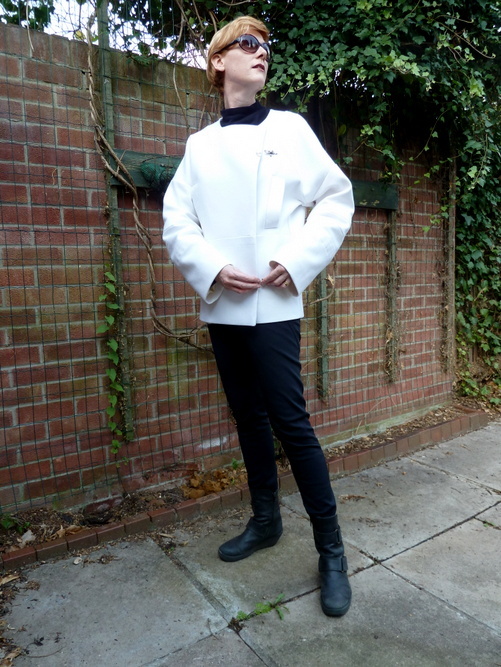 You look ready to conquer Hoth with style! amazing! and thanks for finishing this since it has no doubt guaranteed the heat wave will go on for months! This looks so cool and so expensive, amazing work! I think “space clothes” sums up your style perfectly, love it! It looks fantastic! You must be so pleased with it. Kudos! I love it when someone sews the more fashion forward patterns. Your jacket is wonderful, and you wear this style so well. The world needs more space clothes. Great job with everything, it was definitely worth the effort! This is amazing! 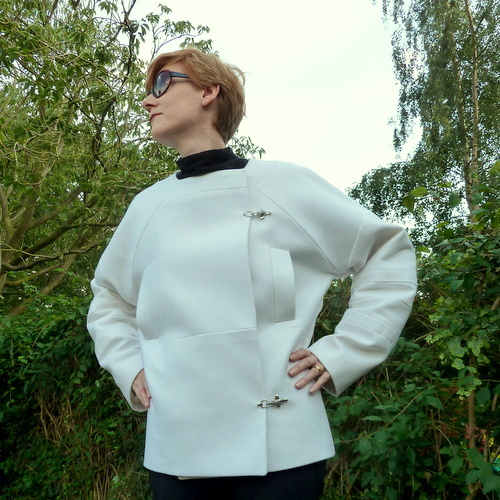 Such a cool look, and it all looks fantastic – great seaming! 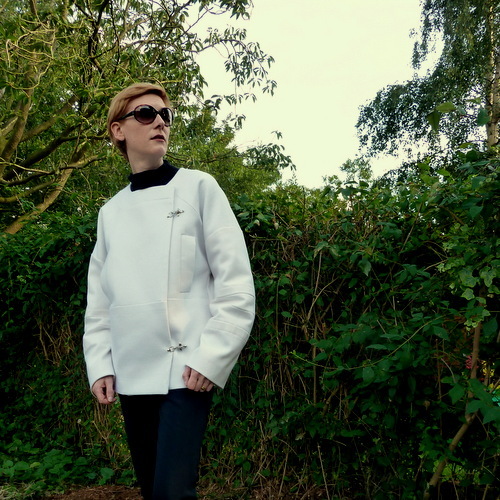 That jacket was designed with you in mind. You look fantastic and it really is a great jacket. Great work.